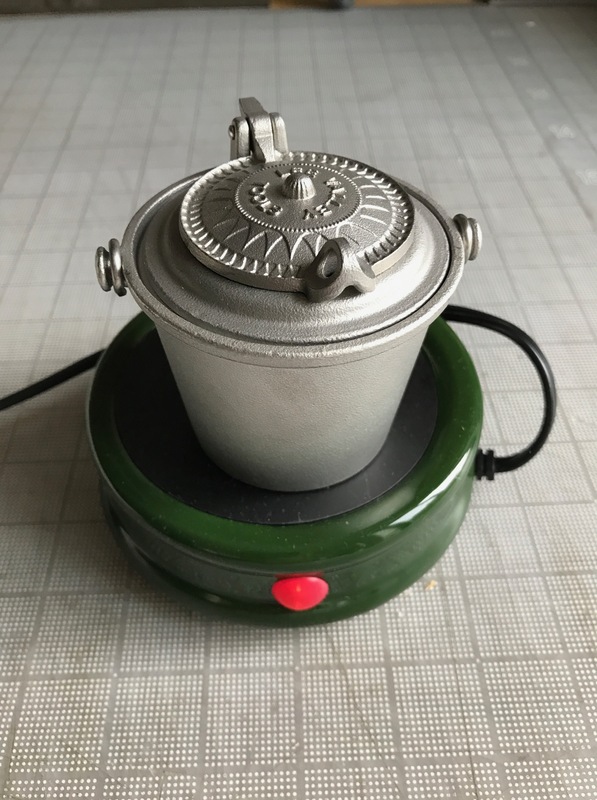 Lee Valley, perhaps the most innovative large woodworking tool company, recently introduced a one ounce cast stainless steel double boiler glue pot, which is perfectly sized for book conservators. The cup-warmer is cheaply made, but it only costs a dollar when purchased with the gluepot. If the interior of the pot was finished a little smoother to make cleaning easier, it would be perfect. A steal at $35.00. Arthur Green described his investigations using gelatin on the spines of books in the blog post, “Revisiting Animal Glue: Gluing-up with Gelatin” Traditionally bound books used animal glue on the spines, and paste for the covering and paste-downs: there must have been a reason. He tested starch paste and gelatin separately, and primarily for adhesion. I find the real magic happens when gelatin and paste are used in sequential layers, or mixed together. Dudin, in the 18th century, described the “marriage” that happens between animal glue and paste. 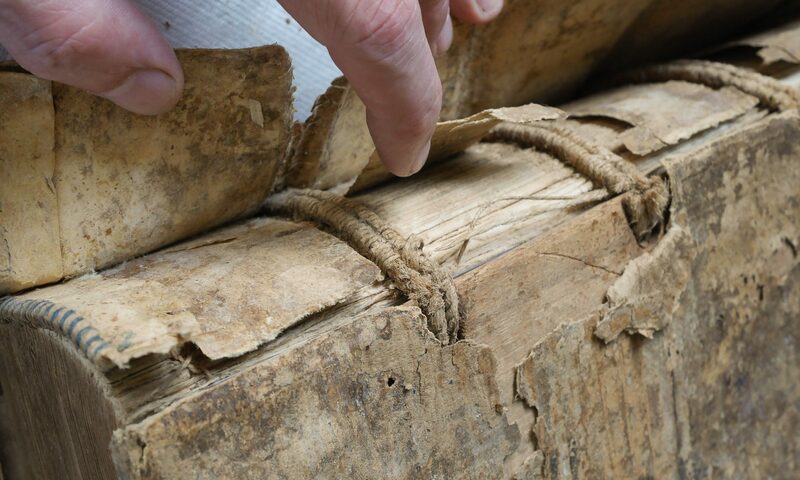 (2) A mix gives the book better resistance to torquing than paste alone, makes it feel more solid, and gives a more secure — yet still easily reversible — bond with a Japanese tissue for the first spine lining in conservation work.